Can I grow Sir Walter from Seed? Daleys Turf grows, supplies and installs a range of turf varieties, all grown to suit the local South East Queensland climate. Our turf varieties include Sir Walter soft-leaf Buffalo and Nullarbor Couch. For Turf Pricing, Delivery Methods, Delivery Pricing and Delivery Area Map. For all turf pricing information, delivery fee, delivery method video, related information and more, VIEW TURF PRICING NOW! Also, Check out our Palletless Delivery system. NO ONLINE PAYMENT REQUIRED. Order Now fill in our easy online order form. We will contact you by phone to confirm all details, delivery time and delivery date. Order Early and we can Deliver the Same Day or at a time more suitable for you. At Daleys Turf we provide a wealth of useful information to make the best choice with your lawn purchase. You will also find a comprehensive Video series and useful articles for reading and research. We welcome you to browse our turf portfolio and get an idea of what Daleys Turf can achieve for your residential, investment, commercial, educational, sporting or community property. As part of our commitment to support you for the life of your lawn, we provide a range of resources including blog posts, articles and videos and offer up-to-date information on a regular basis. In the event the customer who originally placed the turf order, or the person placing the order on his or her behalf, cancels the order after our minimum 24 hour cancellation period, such cancellation will only be accepted on the terms that the purchaser accepts full responsibility for all expenses incurred thus far up to the time of cancellation. - This means if we have already cut the turf – you still have to pay for it. Any obligation to supply is entered into upon the express condition that Daleys Turf will not be liable for delivery delays which occur for reasons beyond our control. - This means if we get a flat tyre, or are held up with unexpected traffic delays, we might not be able to honour our original delivery time specified. We will however, give you a courtesy call or text to let you know if there are any changes that may inconvenience you. Turf is a perishable product. It could discolour through heat if it remains stacked for longer than necessary periods. These periods will vary depending on the season. 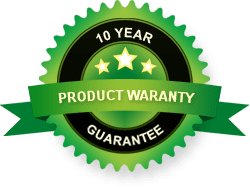 Daleys Turf will not accept any responsibility, or be held liable for any deterioration of turf quality due to delays with installation, or poor management on behalf of the recipient once the product is delivered. - This means you should arrange to have your turf installed on the selected day of delivery. Unless prior agreement is reached, and the Delivery Waiver/Disclaimer signed, the company undertakes to deliver and the customer to receive Daleys Turf products on the nature strip. The delivery vehicle will only enter the job area to facilitate unloading at the customer’s own risk and responsibility and at the absolute discretion of the truck driver. - This means if you ask our driver to drive his forklift or truck on your concrete driveway and he/she is concerned the weight of the vehicle will crack or damage the surface, he/she may refuse to do so. If you insist it will be “OK”, then any costs incurred to repair or replace subsequent damage will be at the cost to the home owner or landscape contractor, not Daleys Turf. The customer is under obligation to supply Daleys Turf with all the relevant information regarding the delivery site and to identify any potential hazards for our large trucks at the time of placing the order to enable the safe delivery of turf to their desired location. - This means at the time of placing the order, the customer is required to advise Daleys Turf if the truck driver is likely to encounter any hazards which may pose a safety risk to our truck driver, our trucks/vehicles or public safety. Hazards such as; main roads, narrow roads, one-way access only, dead ends, schools in the area, overhanging trees, unmade or unsafe road conditions, roundabouts or traffic islands. As such, if Daleys Turf deems a delivery unsafe, alternative arrangements may need to be made, or additional charges may be incurred. Turf orders detailed on the tax invoice receipt must be double checked by the customer on delivery. Daleys Turf will not be held responsible if this check is not made prior to dispatch and leaving the jobsite. - This means the customer/recipient is required to double check the turf variety and quantity is as per the turf order while the truck driver is still at your property. Payment must be arranged for all orders at the time of placing the order. The delivery driver will not accept personal cheques or cash on delivery, unless prior arrangement is made with management. Credit accounts will only be offered to approved Daleys Turf customers.